We have been working in phone industry for more than 10 years, and we only focus on unlocking phones. We fix anything related to software issues such as unlocking, repair network signal, rooting, language installation such as Polish, Arabic and more. Pay by PayPal. Most secured way to make payment online. We have live chat support available at our site, Feel free to ask us any question or concern before using our service. 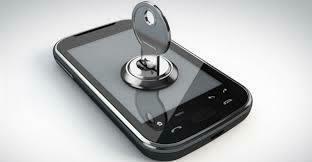 We can even unlock your hard locked devices such as LG, Blackberry, Huawei, and Samsung. This option includes all models of Samsung phones from all carriers. This service is available remotely at our website as well or you can come in person. This service is not available online, you must bring the phone to us. ALL OUR UNLOCKS ARE SAFE, NO WARRANTY IS VOIDED, NO NEED TO ROOT. Please don't contact us for bulk pricing for 1 or 2 handsets. Request will be ignored. This service supports all models of phones locked. ✔ BB10 (Z10, Q10, Q5, Z30, Passport, Classic) are supported. ✔ G3, G2, Optimus L9, L7, L5, Optimus G, and many more. This option includes only clean models of iPhones including iPhone 5, 5C, 5S, 6, 6+. Prices are firm. This option includes any model of HTC phones. This option includes any model of BLACKBERRY phones except Blackberry 10 devices. We do not unlock BB10 devices. This option includes any model of Huawei phones. This option includes any model of MOTOROLA phones locked to carriers. This option includes any model of ALCATEL phones. WE WORK VERY HARD TO OFFER REASONABLE PRICES. ALL PRICES ARE FIRM.